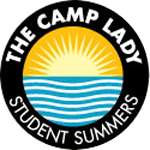 “The Camp Lady took the time to understand my daughter and make her feel comfortable in her decision to pick a new overnight camp after spending 4 years at another one. The Camp Lady was able to provide good choices and I would recommend The Camp Lady to anyone who is looking for the expertise you need to make good, educated decisions. “Jennifer was everything I needed going through this process of finding “The Camp”. I wanted camp to be amazing for Max and it was thanks to My Camp Advisor.